I read this article and found it very interesting, thought it might be something for you. 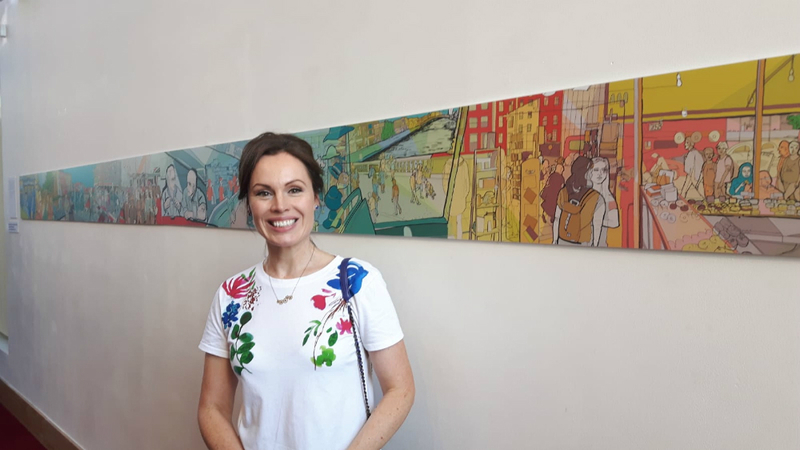 The article is called Everyone, Everywhere, Everyday: Eva Kelly At dlr Mill Theatre and is located at https://www.totallydublin.ie/arts-culture/everyone-everywhere-everyday-eva-kelly-at-dlr-mill-theatre/. 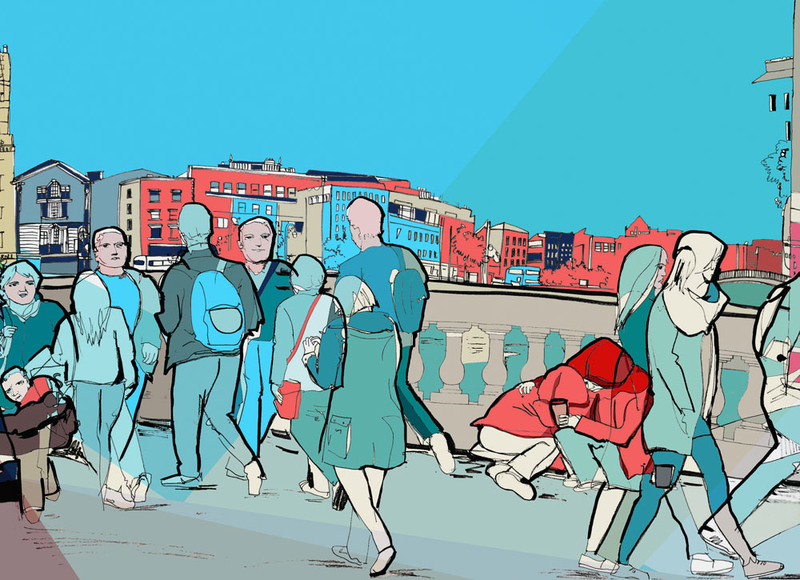 Everyone, Everywhere, Everyday is an illustrated journey through the north and south of inner city Dublin. Inspired by Ulysses, James Joyce, it traces part of the journey Leopold Bloom makes through the streets. Starting on the north side with the Oval public house on Abbey street to Lower O’Connell street to Bachelor’s walk crossing over to O’Connell street bridge and following on to south side locations Westmoreland street and finishing on College street. Applying the idea of the flâneur observing city life and acting as a witness to each scene drawn and photographed on of different perspectives. Working from these twelve illustrations were made which show the exterior urban spaces, streets and people of each place and interior view points from a cafe, bus window and various shops. 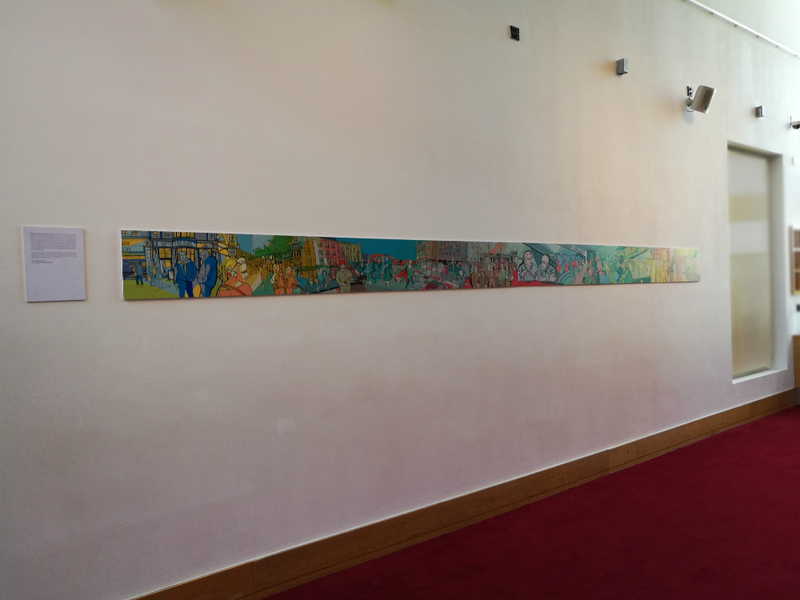 The idea of this exhibition is to visually capture the energy and the ‘stream of life’ of contemporary Dublin.